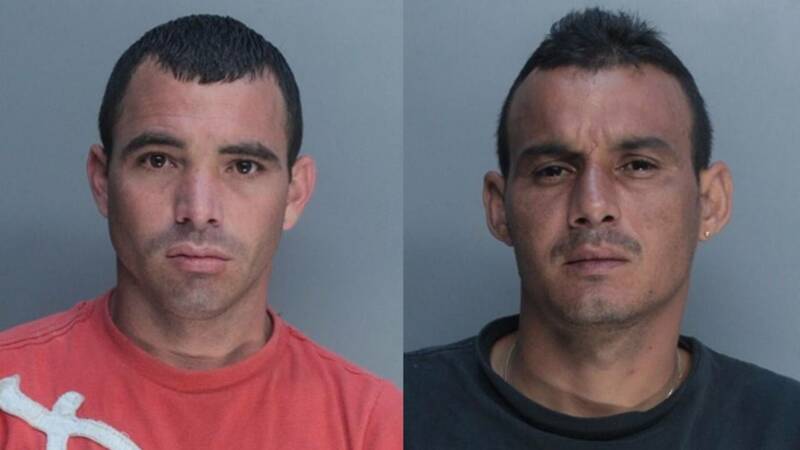 MIAMI GARDENS, Fla. - Police arrested two men accused of stealing fuel from a Hess gas station in Miami Gardens. On July 17, police responded to 20901 NW 2nd Avenue regarding a fuel theft. Managers at the gas station told police that, on two occasions, a Mitsubishi Gallant was caught on surveillance cameras parked over the cover of a diesel reservoir for a long period of time. According to police, the managers conducted an inventory of their fuel capacity levels and noticed a shortage of about $2,500 worth of fuel. Police issued a "be on the lookout" for the Gallant. About 6:55 a.m. Tuesday, an officer saw a Gallant matching the description. 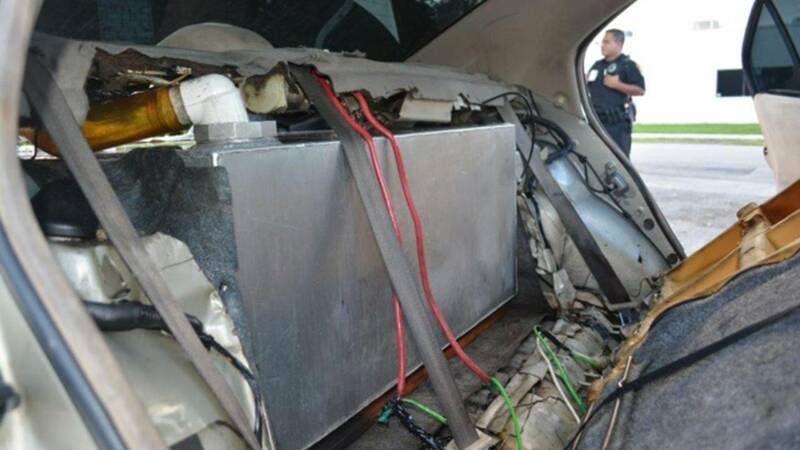 Officers searched the trunk of the vehicle and found a large fuel cell (pictured below) along with a long hose coiled up beneath the seat and a hidden trapdoor on the floorboard. Police arrested 28-year-old Andy Lorenzo Machado and 36-year-old Rigoberto Hastie Veliz and charged them with grand theft and improper conveyance of fuel.